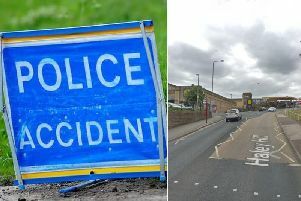 Police are appealing for witnesses after a man was seriously injured in a car crash in Sowerby Bridge on Sunday. The incident happened at 6.09am on Town Hall Street when a Mini Cooper and a building were in collision at the junction of Hollins Mill Lane. The vehicle, which had been travelling in the direction of the centre of Sowerby Bridge from West Street, then came to a stop on Town Hall Street. Officers are particularly keen to speak to anyone who saw the collision or the manner in which the vehicle was being driven prior to it. As a result of the incident a 60-year-old man was taken to hospital with serious injuries. The road was closed until around 11am while accident investigators worked at the scene. Any witnesses are asked to call police on 101 quoting log 466 of Sunday 27 August.